Seattle DJC.com local business news and data - Construction - Why are there still so few women in construction? Why are there still so few women in construction? Women still make up less than 10% of the workforce. In the field, that number drops to 2.6%. 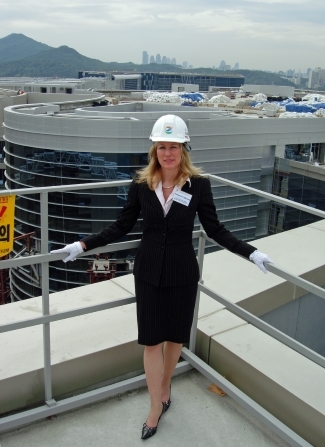 Patricia Galloway, president of Pegasus Global Holdings, at a Korean shopping mall jobsite.